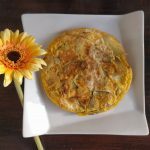 Today we talk about Spanish “tortilla”. 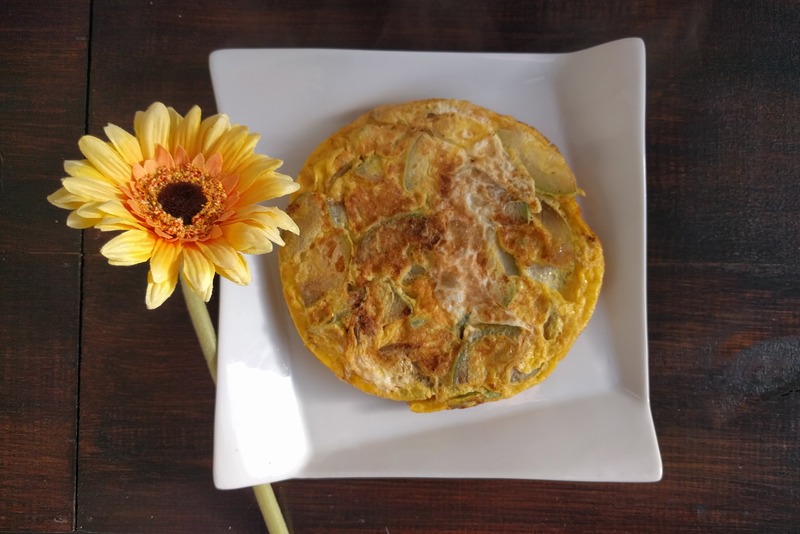 Here in Spain, the tortilla (omelet) is a famous dish. The most famous is the potato “tortilla,” but there are many different types: spinach, cod, mushrooms, etc. What I want to propose to you today is a zucchini omelet. It is a delicate and tasty dish, easy to prepare and perfect for every occasion. It is a fast dish that only requires a few ingredients and is vegetarian. Phase 3 Serves: 1 Prep Time: 5 min. Cooking Time: 10 min. Wash the courgettes well and cut them into pieces. Put the onion in a nonstick frying pan with half the oil. When the onion is transparent, add the remaining oil and zucchini. Simmer 10/15 minutes or until cooked. In a bowl, beat the egg and the egg whites with a little salt. Mix the vegetables and the whites. Pour the mixture into the hot pan. With a spatula “break” and remove three or four times the bottom of the tortilla to make sure it is cooking. When the egg begins to set, let the tortilla cook for a couple of minutes so that it is lightly roasted on the outside and is lifted off the pan. Turn the tortilla with the help of a plate and cook for two more minutes. 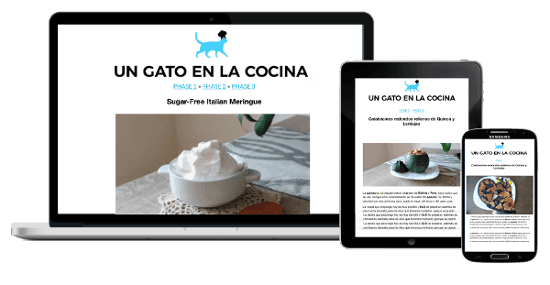 This recipe is suitable for the Fast Metabolism Diet – FMD Phase 3. With these amounts, you get 1 serving of protein, 1 of vegetables and ½ of healthy fat, for Phase 3.